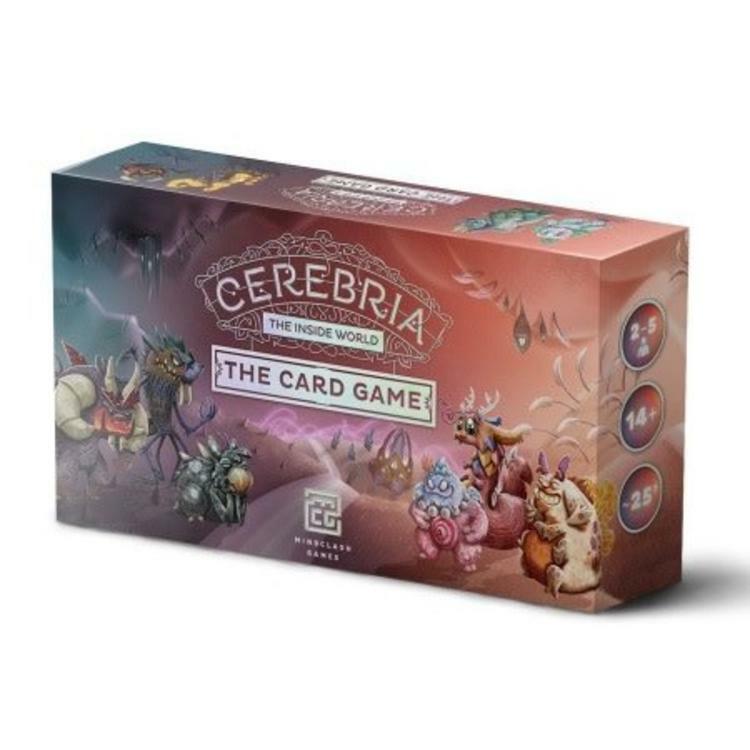 Cerebria: the Card Game focuses on occasions when the landscape of your mind interacts with the world and other people. In this turn-based card game, the players build their Mindsets, filling it up with Bliss or Gloom Emotions. The outside world is represented by the Impulse, a dynamically changing pool of available Emotion cards. Whenever the Impulse is emptied of Emotions, each player's Mindset is scored, granting Bliss or Gloom Identity Fragments. The goal of the game is to collect enough Fragments to fully develop the Identity. Players can get Fragments by invoking Emotions into their Mindset, however, these Fragments can be spent for the effect of the Emotions' Abilities, so it is up to the players to decide wether they hold on to their victory points or spend some of them to be more efficient. Emotion effects can interact with other Mindsets, other players' hands, the Impulse, but can be cancelled by discarding Emotions of the matching type. The game ends if one of the players manages to build a fully single-minded (collecting eight or more of one type of Fragment) or a balanced personality (collecting five or more of both Fragment types). The game consists of 96 Emotion cards, 80 Identity Fragments, 5 player aid cards and a Mood Marker.